Two Palestinian young men were killed by Israeli fire on Sunday near the Gaza-Israel borders, medical sources said. Bahaa Qudaih, 23, and Mohammed Abu Reida, 20, were shot dead by Israeli soldiers near the Gaza-Israel border fence east of the southern Gaza Strip city of Khanyounis, spokesman for health ministry in Gaza, Ashraf al-Qedra, said in a statement. It brings the death toll among Palestinians in Gaza to 47 since mass anti-Israel rallies started on March 30. 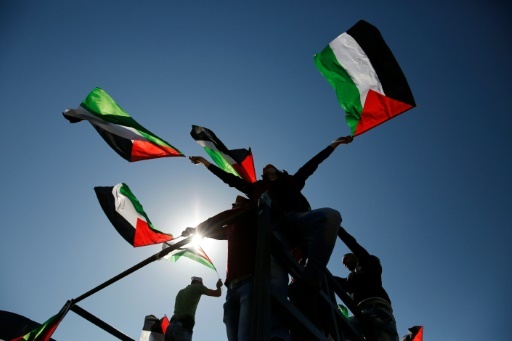 The rallies, which always witness high turnout on Fridays, are expected to peak on May 15, the Nakba Day, while the Palestinians mark the forcible transfer of two thirds of the Palestinian people and the ethnic cleansing of 418 Palestinian villages. Israel rejects the protests and vows to respond to any border infiltration attempts that may threaten its sovereignty as well as its residents.